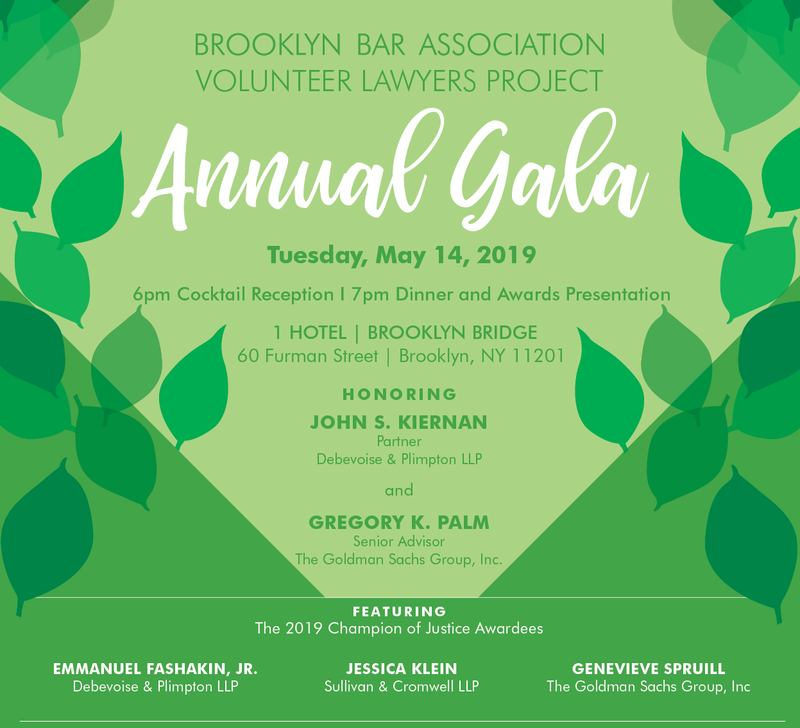 The Brooklyn Bar Association Volunteer Lawyers Project (VLP) Annual Gala – the organization’s premier fundraising event – celebrates and honors the work of exraordinary individuals who have demonstrated an unwavering commitment to serving the public good and equal justice. Funds raised strengthen the vital work of the VLP, including direct legal services, innovative legal education and outreach programs in consumer debt, foreclosure, immigration, family law and elder law, as well as the training and supervision of volunteer attorneys from the private bar to assist thousands of Brooklyn families and individuals facing life-altering legal challenges. Diamond - $50,000 Two reserved tables of 10 (20 tickets); acknowledgement in all public relations materials related to the Gala; premium & prominent full page advertisement in event Journal; prominent placement with logo & link on event website; prominent recognition & logo in Gala invitation, event Journal, and event signage; special recognition from the stage at the Gala. Platinum - $25,000 One reserved table of 10; acknowledgement in all public relations materials related to the Gala; prominent full page advertisement in event Journal; prominent placement with logo & link on event website; prominent recognition & logo in Gala invitation, event Journal, and event signage; special recognition from the stage at the Gala. Gold - $15,000 One reserved table of 8; acknowledgement in all public relations materials related to the Gala; gold page advertisement in event Journal; recognition listing with logo & link on event website; recognition & logo in Gala invitation, event Journal, and event signage. 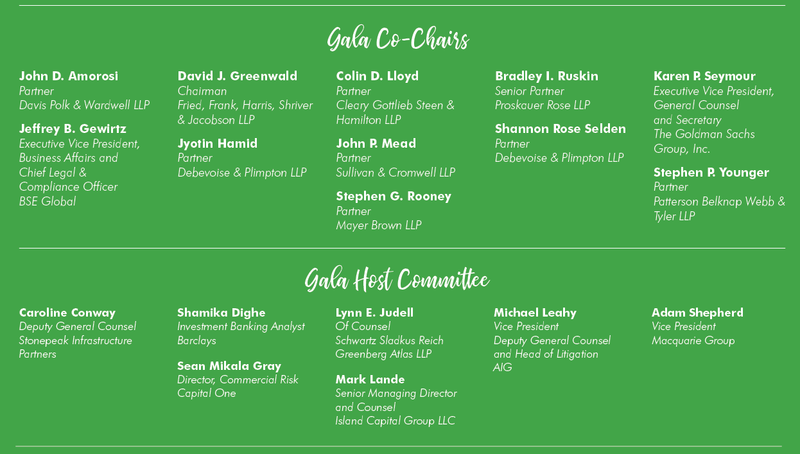 Silver - $10,000 One reserved table of 6; acknowledgement in all public relations materials related to the Gala; full page advertisement in event Journal; recognition listing with logo & link on event website; recognition & logo in Gala invitation, event Journal, and event signage. Bronze - $5,000 5 tickets; half page advertisement in event Journal; recognition listing with logo & link on event website; recognition & logo in Gala invitation, event Journal, and event signage. 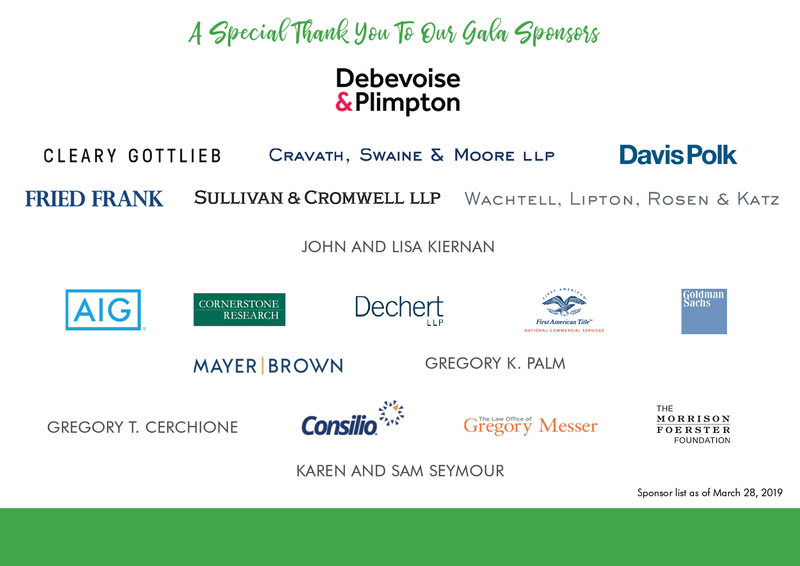 Champion of Justice Award Sponsor - $25,000 One reserved table of 6; acknowledgement of gift & name mentioned in all public relations materials; recognition as exclusive named sponsor of the CJA awards presented at the Gala with special acknowledgement from the stage; full page advertisement in event Journal; exclusive sponsorship listing with logo & link on event website; exclusive recognition & logo in Gala invitation, event Journal, and event signage. Video Sponsor - $12,500 4 tickets; recognition as sponsor of the video that will premier during the Gala with sponsor logo displayed prominently in the video; half page advertisement in event Journal; exclusive sponsorship listing with logo & link on event website; exclusive recognition & logo in Gala invitation, event Journal, and event signage. For more information or to provide your attendance list or journal ad, contact Jamie Gerrish at 212.581.1400 or Melissa Starr at 718.473.9209. The VLP is a not-for-profit public charity recognized by the IRS under 501(c)(3). $200 per ticket is not tax-deductible. Contributions and journal ads are fully tax-deductible to the extent allowed by law. 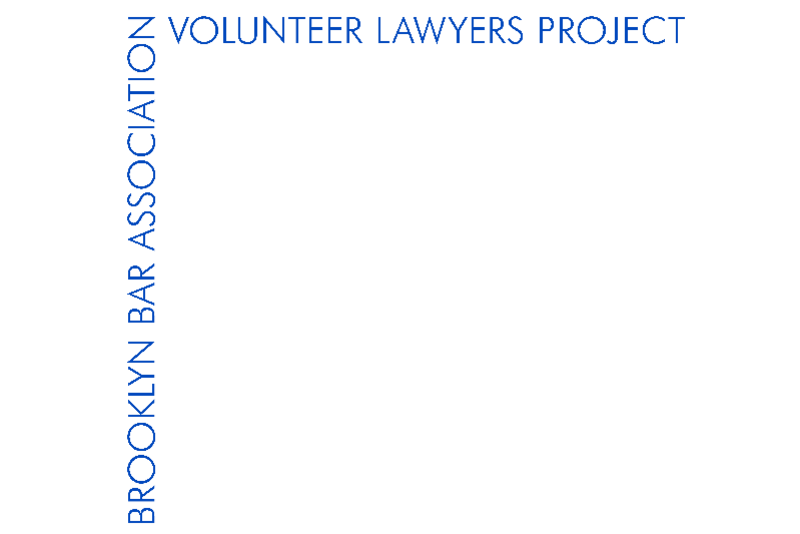 The mission of the Brooklyn Bar Association Volunteer Lawyers Project (VLP) is to ensure that the legal system is accessible to those who, because of special needs or the overwhelming burdens of poverty, would not otherwise have their rights protected or their voices heard. Since 1990, the VLP has harnessed the powerful pro bono commitment of the private bar to provide critical civil legal services and equal access to the justice system to thousands of Brooklyn residents. As an essential legal lifeline, the VLP remains uniquely responsive to the evolving legal needs of Brooklyn’s overlooked and underserved communities.